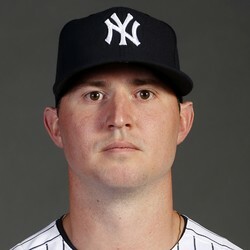 Zack Britton pitched 2/3 of an inning on Monday giving up two hits, two runs and a walk as the Yankees lost to the Astros by a 4-3 score. Britton could not protect the lead for Mashiro Tanaka and left the game tied in the seventh. The veteran reliever is being used in a set-up role for the Yankees this season and despite the struggles on Monday is worth owning in leagues that count holds as a category.